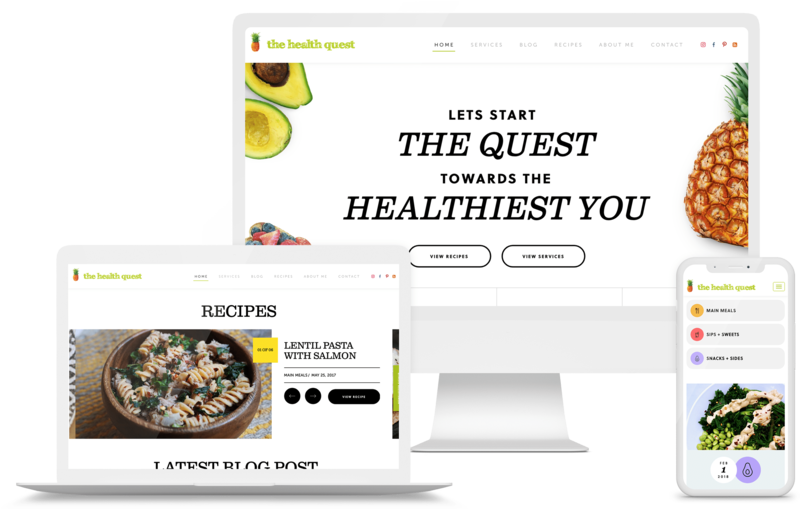 The Health Quest website and blog is powered by Diana Licalzi, a registered dietitian. Diana provides 1-on-1 nutrition consulting as well as hands-on nutrition workshops and seminars to all types of clients including children, college students, adults looking to lose weight or stay healthy, and the elderly. She's also a grocery store coach, providing a grocery store walk through and a full refrigerator & food pantry makeover. The Health Quest brings this information to you as well as recipes and blog posts with a variety of nutritional information. 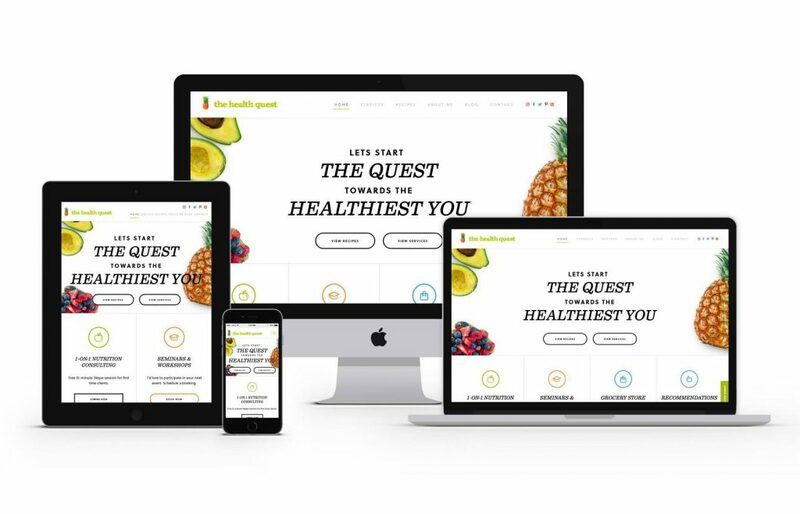 GoingClear Interactive was in charge of the website design and development for The Health Quest's new website. Working with Diana, we developed an advanced Blog page that includes a search tool, animated filters, social media share links, categories and iconography for each category type. 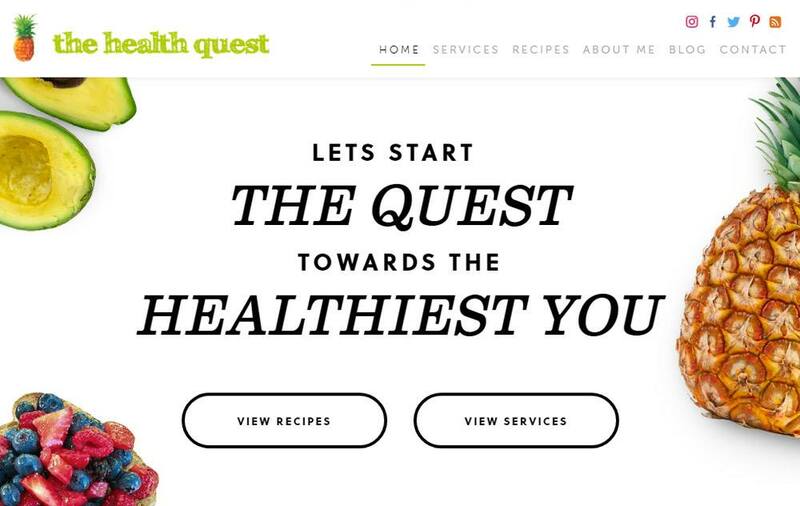 The icons were customized and carefully thought after to capture the look and feel of the Health Quest brand. The site also includes a Home page featured section with multiple responsive background photos and an Instagram feed. This website is responsive, so it will work on all mobile and tablet devices. There's even a blog feed slider with finger swipe for mobile devices so articles are easier to select and read. Diana's new website packs a lot of punch for a small business package!